On August 7, San Francisco officially became the first city in California to establish an urban agriculture incentive zone. Following passage of a law introduced by Supervisor David Chiu and unanimously supported by the Board of Supervisors and Mayor, owners of vacant property within San Francisco will now be able to apply for a property tax reduction in exchange for committing their land to urban agricultural use for at least five years. San Francisco's new law is the first local implementation of Assembly Bill 551 since that state bill went into effect at the start of this year. The entirety of San Francisco would be considered an urban agriculture incentive zone, which means that that any parcel that met the eligibility requirements set out in state and local law could receive a reduced property tax assessment. The Planning Department would be responsible for certifying a parcel's eligibility based on its size, existing structures, and access to water. If a parcel is eligible, the property owner would submit an application to the Agricultural Commissioner explaining the plans for agricultural use of the site. The proposal goes above and beyond the state's minimum requirements by requiring the property owner to demonstrate through their plans that the farming or gardening on the property would have some interface with the public through either distribution or sales of food; educational activities such as classes and workshops; or that that site is being used as a community garden with members other than the property owners' family. The Agricultural Commissioner would be responsible for both reviewing the plans in the application as well as conducting annual site inspections after a contract is signed to ensure that the site is used solely for agricultural purposes. The Assessor-Recorder would be responsible for calculating the change in property taxes and providing that information to the Agricultural Commissioner and property owner. If an application is approved, the property owner would sign a contract with specific terms, to be enforced by the Agricultural Commissioner. The legislation explicitly allows the agencies involved to establish fees to process the initial application and defray the costs of annual inspections. Any proposed contract that would reduce property tax revenue to the city by $25,000 or more each year; result in five contiguous acres under contract; or would increase total revenue loss to the city above $250,000 annually for all properties under contract would automatically be sent to the Board of Supervisors for review. If a contract is cancelled by either the property owner or by the city because the property owner is found to be in breach of contract prior to the expiration of its five year term, the landowner would be required to pay the city all back taxes, with interest (as determined by the Assessor-Recorder). To provide an additional check and balance for the program, the Board of Supervisors has a ten-day window after receiving the Agricultural Commissioner's list of recommended contracts to request a hearing to review any contract. If the Board does not request a hearing, a recommended contract can be approved administratively. The final details of the application and contract itself are now being worked out by city agencies so that property owners can apply by the October 1, 2014 deadline. 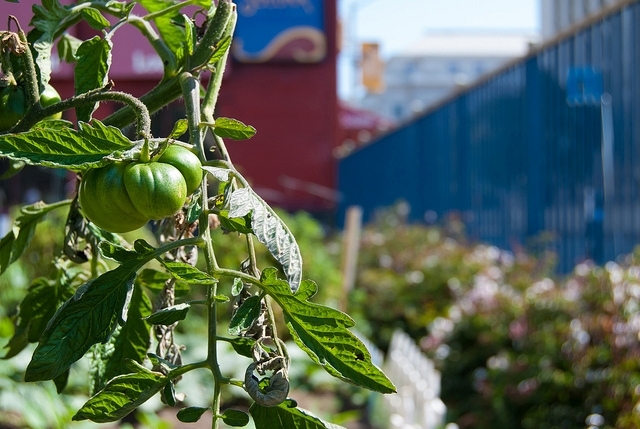 While San Francisco has a limited amount of vacant land, local advocates are hopeful that the law will support a number of projects in the city while also inspiring other cities and counties across the state to establish urban agriculture incentive zones. It's one tool that has great potential for supporting greater land access and land tenure for urban farmers and gardeners so that more people in the state can benefit from urban agriculture. Eli Zigas is the Food Systems and Urban Agriculture Program Manager at SPUR (San Francisco Planning and Urban Research).